%.gone. wrote: They said a couple levels are influenced by warehouse, school2 and hanger. yeah, hanger is definitely what influences designers at robomodo. no jokes. First post heavily updated. 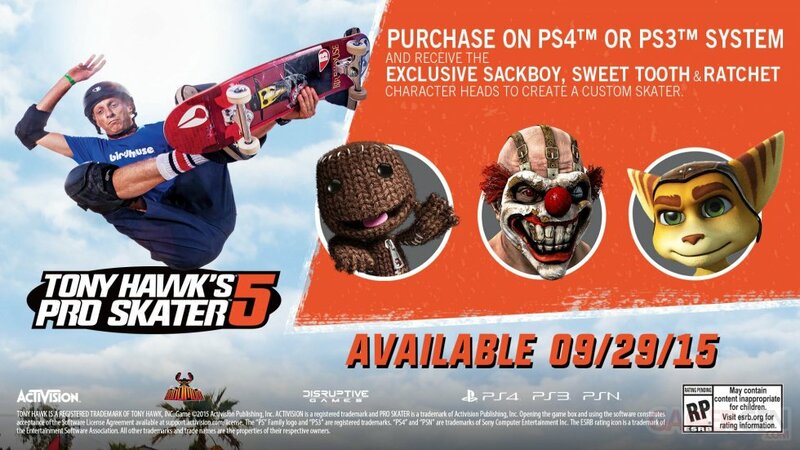 Prepare to dislike THPS5. I just saw you posted this here, and we've already talked about this, but to everyone else, I took this image from IceBearsForevers youtube, and it had no bgoat logo on it then, and I had no idea that this was even a thing at the time. I assumed IceBears made it in paint or something, and all I did was change the font and throw my link on it for the article. I never had any intention of stealing your graphic. I didn't expect them to make it seem worse than THPSHD!!! I didn't think it was possible!!! TNT wrote: I didn't expect them to make it seem worse than THPSHD!!! I didn't think it was possible!!! Yeah, Robomodo has lost their minds, If the Y button is Plummet towards the ground but not grind, Then what button is grind? R1? I think the CAS will be as slimmed down as THPS2, At least there's 20 player rooms, That's one of the things that people want in THUGpro even though it's impossible. Our newest console is a Wii (Not a Wii U but an original Wii), So you can tell how much we dislike modern gaming, If there will be no PC or 3DS port then I will have to play this at my friends house, He has an XBOX 360 and an XBOX one so at least I can play it there.